Let’s be honest; lemons have a bad rap. From cars to computers, online message boards are chock full of lemon-fueled rantings. Actually, even lemon-flavored Italian ice could use a tweaking, in my humble opinion. This. Could. Change. Dun. Dun. Dun. The app (surprisingly designed for the big three: iphone, Droids and Blackberry! hurray!) allows (and encourages) you to catalog your receipts via a “scanned” image (aka a photo snapped by your phone’s camera). From there you can file the receipt away until you need to recall it for a return. 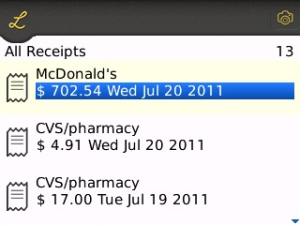 Better yet, you can keep track of spending habits through an labeling system organized by retailer (one snapshot of the app’s interface depicts a sample user’s receipt catalog from McDonalds (below). This mystery person racked up over $700 at the franchise; and then, we can only assume, spent $4.91 on PeptoBismal at CVS that same day. So maybe this app isn’t for you if you have such grossly gross habits! I mean, who really wants to own up to their monthly burger count?! :)). For those of us who are more visually inclined, you can also generate pie charts to track your spending habits. How much more do I spend on shoes compared to groceries? Good Golly Miss Molly, do I really need to know!?!? 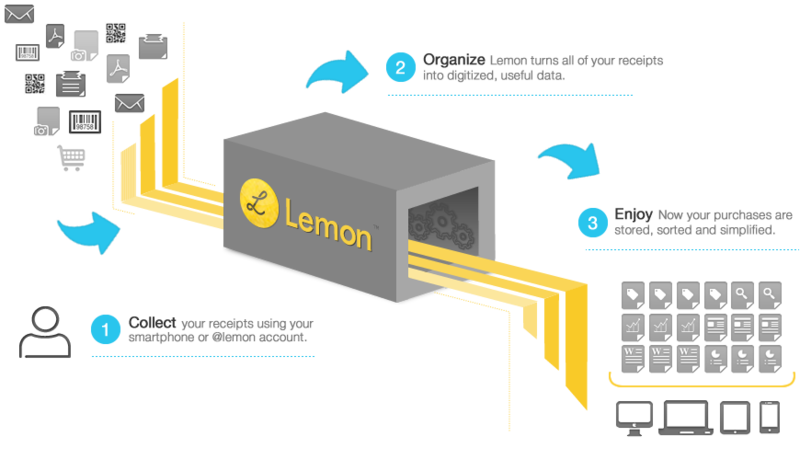 All in all, pretty sweet for a lemon! I just downloaded the app to my Blackberry Bold. It’ll be interesting to see the change in my spending habits with this level of organization right at my fingertips!